Wildfires that were at one point eight counties wide, have burned across wine country in California. At least 11 people have been killed, 100 are missing, and hundreds are injured. Over 1,500 homes and commercial buildings have been destroyed. Please pray for the injured, the missing, and those who have lost everything. In Scripture, the Day of the LORD (the coming Tribulation) is most often associated with fire and the grape harvest/winepress. Here in California we see both images together. Surely the Day of the LORD is at hand. News is breaking that North Korea has stolen the U.S.-South Korean war plans from South Korea's defense ministry. The plans were comprehensive and revealed nearly the entirety of U.S.-South Korean strategy for a war with the North. 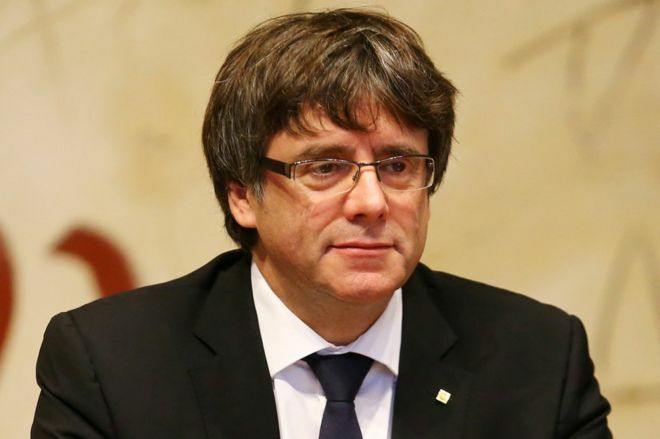 Catalan leader Carles Puigdemont is set to address the Catalonian parliament today and many are expecting the region to declare independence from Spain. Some believe this is the same area as Tarshish in the Bible - an interesting tie-in to the theme of Jonah and repentance we've seen play out in the world in recent weeks. Iraqi Kurdistan held a referendum on September 25th in which over 92% voted for independence from Iraq and the establishment of a Kurdish state. 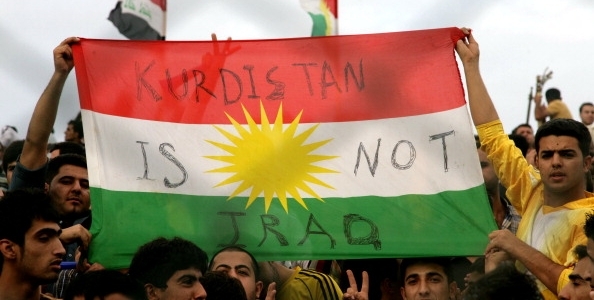 The Kurdish regional government has stated the referendum is binding, but independence will not be declared immediately. News of late has reported on a notable uptick in active volcanoes. A number of sources suggest there are, on average, 10 to 20 eruptions on land around the world each day (see here and here), but for the last week or two there have been over 30. As I write this there are currently 35 volcanoes erupting around the world and Mt. Agung in Bali is widely expected to erupt any day as 140,000 have been evacuated. A few days ago a meteorite struck a house in Clemson, South Carolina. Luckily no one was injured, though the rock left a sizable hole in the roof. 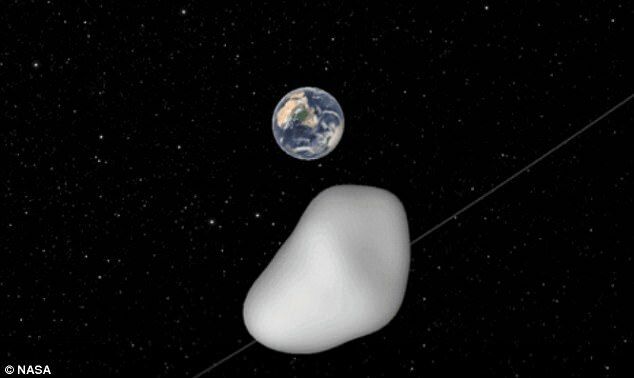 On Thursday 30 to 100-foot-wide Asteroid 2012 TC4 will whizz by earth at the astronomically minuscule distance of 27,000 miles (about 1/8th of the distance from the earth to the moon). Though an impact is not expected, there has been a notable increase in the number of these close fly-bys of killer asteroids in recent weeks. An impact by an asteroid of this size would destroy a small town. Last month, Asteroid Florence, a 2.7-mile-wide behemoth passed close to earth. An impact by a rock like this would wipe out a continent and perhaps fling so much debris into the sky that the sun would be darkened for weeks. Yes, you're right! I think the significance is that we're just now finding out about it. Gary, indeed. Most of my news comes from sites such as yours, anymore. North Korea is the headliner on the Drudge Report, and the BBC article didn't say anything about this happening last year. Either way, we're sure living in volatile times. "The hack took place in September last year. 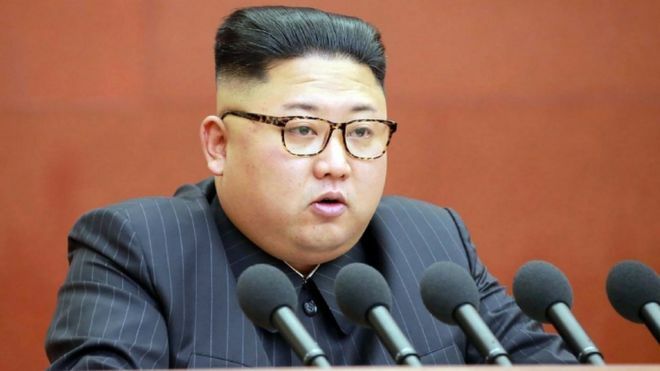 In May, South Korea said a large amount of data had been stolen and that North Korea may have instigated the cyber attack - but gave no details of what was taken." Thank you for this very clear picture of what is happening across our world. I would much rather read the news from you as from even FOX news! Blessings, Brother! MSM has their own agenda, not to be trusted! The theft occurred last year, but the public is just now finding out, which means we're learning that a war with the North might be a whole lot more messy than originally thought. Is there a way to be notified when a new article has been posted? (And to receive all the comments by email as per the 'Notify me' checkbox? We don't have a way to send notifications for comment replies, but you can receive daily email notifications for new articles by subscribing (top-right under "Follow By Email", below "Connect With Us"). Those emails contain the entire article. My guess as a veteran is if you put plans on a computer hooked to the Internet you know they will and are supposed to be stolen, o rocket man ain't nearly as smart as he thinks he is. You nailed it. He doesn't have what he thinks he has. Deception, deception, and more deception. Have to keep the enemy fooled. I read how the Israelis put mannequins dressed as soldiers on the beach and it did fool their enemies and I guess you all know how Ehud Barak dressed as a woman on the Munich mission and Benjamin Netanyahu dressed as an airline mechanic to get onboard a hijacked plane. Yes, you have to deceive the enemy. Yes please pray for those in Northern California. My brother (and his family) live in Boulder Creek, just south of the fires. They live in the beautiful redwood forest which would go up like a tinderbox if it caught fire. They are nervous...and unsaved. I was wondering yesterday if Sacramento (most holy sacrament) itself was going to be 'hit' by the wildfires at all, as a sign to the Catholic Church of Gods anger towards their eucharist teachings. A random thought, if not totally speculative. I had asked Greg in his 'calm before the storm' where this fire sits in terms of 'average/worst/bad' for historical fires. If someone had anymore info on that, please share. I only ask due to many of these other American 'disaster's' (including the mass shooting) being classified as the worst on record. To the best of my knowledge, the worst CA wildfire in terms of loss of life was back in the 90s when 25 were killed. Tragically this looks like it may surpass that. Thanks Gary - just looking now, they have surpassed 3500 structures now destroyed, with 23 deaths (and counting). From the Guardian "At least 3,500 homes and businesses have been destroyed since the wildfires started Sunday, making them the most destructive blazes in state history." Looking through wikipedia, the worst rural fires in the USA were in the late 1800s, however it looks like this might well be the worst rural fire in the USA since 1948 (birth of Israel). I guess it depends whether or not you consider the fires collectively being 'one', or if each blaze (tubb vs lake etc) are considered separate statistics. Keep an eye on dailycrow and we will see if Matt addresses this in more detail. ...and so the message of the Great American Eclipse, among others, continues to unfold. Consensus was that being a call to repentance among all Gentile peoples, but especially the U.S., and that Judgment was to be in the wings. Considering yet unfulfilled dreams and visions concerning that judgment and California, specifically, and let me connect a couple dots, perhaps. The Father uses the natural to discipline nations and peoples, we know. We quickly saw the connection between the storms following shortly after the Eclipse as connected and I believe the fires are, as well. However, as the enemy seeks to remove the Divine from the natural, even hurricanes and wildfires can be 'explained away' with climate change, poor urban planning, or whatever fits and doesn't involve the Father. There are even possibilities that the storms were, to some degree, weather warfare. This only leaves 2 realms free of such nonsense, as I see it, the Heavens and Earthquakes. One recurrent dream/vision/image arising from the Eclipse phenom was that of a great earthquake, in SO CAL, as a final blow to bring this nation to its knees, in multiple ways. One main contributor on Five Doves, about 5 years ago now, had a dream of dead invertebrates washing up on pacific shores and the CA Big One just prior to the Rapture. Since Fukushima, we've seen the starfish die-offs on the shores. In light of the earthquake cascades at Yellowstone and elsewhere and Ring of Fire activity, we may well watch as our Father next demonstrates His Authority over the creation with a stern rebuke to repent and get right with Him in the VERY short time remaining. Maranatha! 16 years ago it just took one event for the country to repent (for a time) and unite. Now we're seeing that America is not repenting after many, many events: signs in the heavens, record natural disasters, and terrorist attacks. It's not looking good for this country. You are very right about the west coast of this country. In the last two days the earthquakes over there are playing ping pong with the volcanoes and cinder pits. I had NO CLUE how many volcanoes are on the west side of the states. There are a half dozen large volcanoes, but there are hundreds of cinder cones, from Yellowstone to the coast. And more than one super volcano. California has one too, a third of the size of Yellowstone. Look it up. It is lighting up over there. All over the US has been extremely active the last couple days. We just have to wait and see what happens and have faith in Jesus. Yes! Two incorruptible sources: God's Word and the luminaries. Well, Gary, do you really want to open up a bunny trail concerning the Mandela Affect in this thread? :) Maranatha! Most interesting and challenging times ahead we are about to start experiencing. As each month goes by, we will long to return to the previous month. My faith is getting stronger the worse it gets. The youtube video caption for the meteor show says "The incredible Draconid Meteor Shower visible after sunset is taken at Inyo National Forest, John Muir Wilderness". That is just east of Yosemite along the Nv-Ca border. beautiful country. I was about 700 miles from there in the Grand Tetons's in August 2016 during the Perseid meteor shower where we were seeing 2-4 per minute. HI guys I have a question, on one of the Revelation 12 videos that are circulating, it shows that the holy city went dark for a brief period of time I believe for 3 hours that day? Can anybody comment or confirm this? Like SuperMnew said, I think you're thinking of the crucifixion. There was no darkness during the Rev. 12 Sign that I am aware of. Matthew 27:45 says, "Now from the sixth hour until the ninth hour there was darkness over all the land." This was at the crucifixion of Christ. This is also found in Mark 15:33.
okay thanks, I ask because one of the 9.23.17 rev 12 videos I saw that was circulating showed that Jerusalem went dark on this 9.23 17 date while the rev 12 consolation was forming. I think the video was a exaggerated narrative. I also find it significant the death of Hefner and now the demise of weinstein. 2 of Hollywoods creepiest men have fallen. I wonder how many more will be in the wake. Judgement is definitely upon us! For 2 days I dreamed about an actor who plays the character Walter O’Brien on the show Scorpion. He had on a black robe, singing a worship song and dancing like Michael Jackson. The rest of the dream was showing me that God is revealing the truth and that there would be a confrontation. It reminded me of the dream I had about what the holy ghost called the great showdown between Elijah and the prophets of Baal (false prophet). Last night I dreamed the man who plays Walter again but this time he along with another man was standing side by side. The man on the left was bigger than Walter on the right and both men was holding a blank sign that was white. So when I woke up I looked up the Walter character’s real name and it’s Elyes which in Hebrew is Elijah. I believe the two men standing side-by-side is representing the 2 witnesses. I feel like the man on the right is Moses. And that Moses represents deliverance while Elijah represents judgment. The fire in the wine country speaks volumes of Gods word. You were spot on Gary! "Rivers of Boiling Grape Juice" was one headline I recall seeing today, Friday. I'm with ya buddy. It's important to be able to talk about all that is unfolding around us and talk about it openly. To listen. The headlines are so overwhelming. I find myself thinking, "What next?!" when checking the news? These things are too hard to talk about for many people and understandably so. My wife and I have had/seen the same reception on posts regarding the Great Sign; angry reaction to nothing more than marvelling at living in the days in which we see such wonders. My purpose is not to point fingers at those who react negatively, just that it does happen and that talking about these things is important inside of the community. May we continue to support each other in these days and pray for those who react angrily (fearfully). The love of Christ demands nothing less. Yes, it would be nice! Now I have that song stuck in my head...and what a pleasant song it is! The Beach Boys was my first concern on one of my first date nights when I was in high school. Let's all check in here next Monday (Oct 16) and see if we can figure out who was raptured. Obviously, it won't be us because we'll be checking in. But all this speculation tells me that someone won't be here next Monday. Right? Rev 14:20 - They were trampled in the winepress outside the city, and blood flowed out of the press, rising as high as the horses' bridles for a distance of 200 miles. 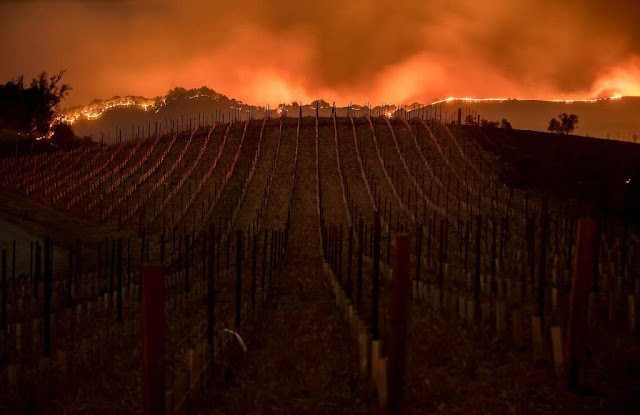 Oh, the minute I heard that Napa Valley and Sonoma wine country were burning, all I could think of is He treadeth the wine press of the fierceness and wrath of Almighty God. So, the grapes are being harvested by fire, Feast of Tabernacles is a Harvest Feast, the Las Vegas massacre was a harvest festival during a harvest moon , we had Hurricane Harvey and Harvey WINEstein has been exposed, so to speak. There is no Hebrew word for coincidence. God gets all the Glory.